A lot of careful consideration is given to the props that turn up in TV shows and movies. From coffee cups to couches and eyeglasses to cleaning products, the items that are used to dress sets and appear as props are not only key to the plot, but they also reflect social trends and lend credibility and depth to the characters and the production. Green Product Placement, the brainchild of Beth Bell, is working to place green and sustainable products in order to raise social awareness while also promoting the products and brands. When a character in a TV drama sips from a reusable water bottle, uses green cosmetics or when a movie set features local furniture and sustainable dishware, the viewer sees this and internalizes the notion that green products are common. When the show happens to be a popular hit with a loyal following or when the movie features A-list celebrities, that can further help promote the product and this exposure will get viewers thinking about sustainability and how green products can have an impact. There are four traits products and brands must live up to in order for Green Product Placement to place the product in a production. First, the product must be green, so it needs to be organic or biodegradable. Second, products must be sustainable – either reusable or produced from renewable resources. Third, the brand needs to be socially enterprising, that is the company has to give back as part of their business plan. Lastly, Green Product Placement strives to support local businesses. Trying to showcase green products and brands with sustainable and altruistic goals helps spread the green lifestyle and raises awareness about environmental issues. Product placement is going to happen, so using this media platform in a positive and productive manner helps the brands and the environment while also teaching the audience about green living and sustainability. Green Product Placement has started to establish themselves, and their quick and steady growth has indicated a clear need for the service they provide. With several recent high-profile placements and positive reaction to the work they do from industry insiders, Green Product Placement is poised to help their clients and the environment. 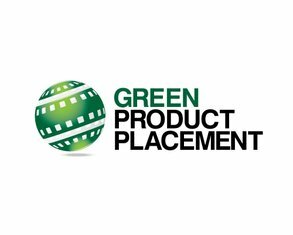 Next time you’re watching TV or head to the movies, keep your eyes peeled for sustainable items placed by Green Product Placement; in the meantime learn more about them at http://www.greenproductplacement.com/us/. Next Next post: Why Choose FDP for Your Reusable Bags? Not only the entertainment industry but in all the other sectors of society it is important to promote nature friendly products and their uses. Yes it is and it is important to look for ways in everyday life to make a greener difference. Thank you for stopping by.